SAITAMA, Japan — Japan will be playing at next year's World Cup, and Syria has a chance to join them. 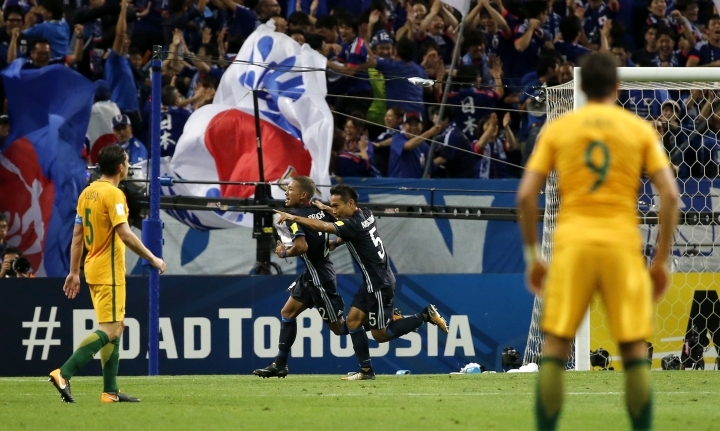 The Japanese qualified for their sixth straight World Cup by beating Asian champion Australia 2-0 on Thursday, while Syria is closing in on its first appearance. The war-torn country's national soccer team beat Qatar 3-1 in Malaysia, moving into third place in Group A of Asian qualifying. The Syrians are now one victory away from at least a playoff, with an automatic spot at the 2018 tournament in Russia still possible. If the Syrians beat Iran in their final group match on Tuesday, they will be guaranteed to finish in third place in the group, earning at least a playoff against the third-place team in Group B. But Syria could finish second and qualify directly for next year's tournament depending on the result of the match between South Korea and Uzbekistan. Qatar, which will stage the 2022 tournament, has been eliminated from contention and will instead make its World Cup debut as the host nation in five years. Because of the ongoing war in Syria, the national soccer team has been forced to play its home games in southeast Asia. At Hang Jebat Stadium, Omar Khribin scored a goal in each half for Syria, and Mahmoud Al Mawas added the third in injury time. 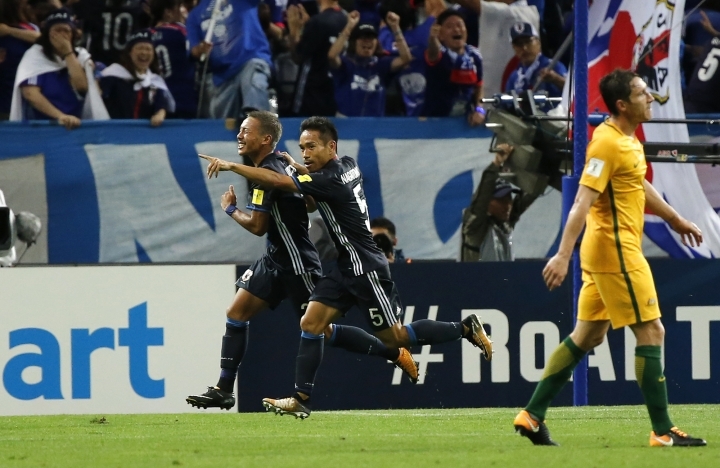 Japan got goals from Takuma Asano and Yosuke Ideguchi to improve to 20 points in Group B. Australia can still qualify if it clinches second place. 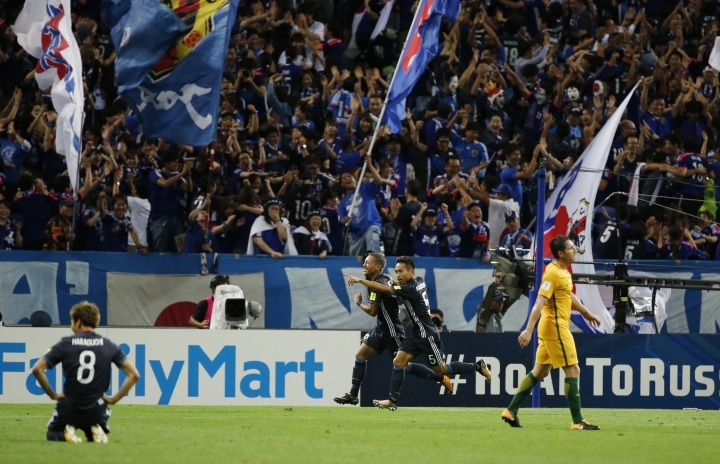 Yuto Nagatomo set up Japan's first goal in the 41st minute, sending a cross into the box that an unmarked Asano calmly side-footed past Australia goalkeeper Mathew Ryan. "Yuto made a great play to get me the ball," Asano said. "I was thrilled to contribute to the team in such a big game and want to thank the coach for showing confidence in me." 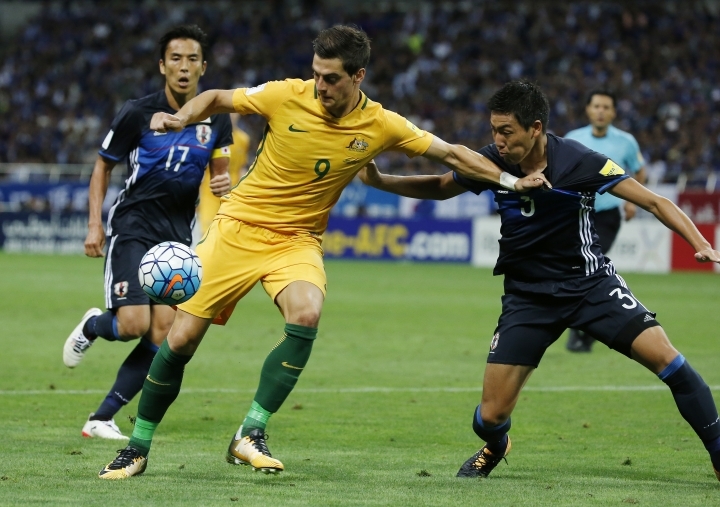 Looking to create more chances, Australia coach Ange Postecoglou sent on Tomi Juric and Tim Cahill in the second half. 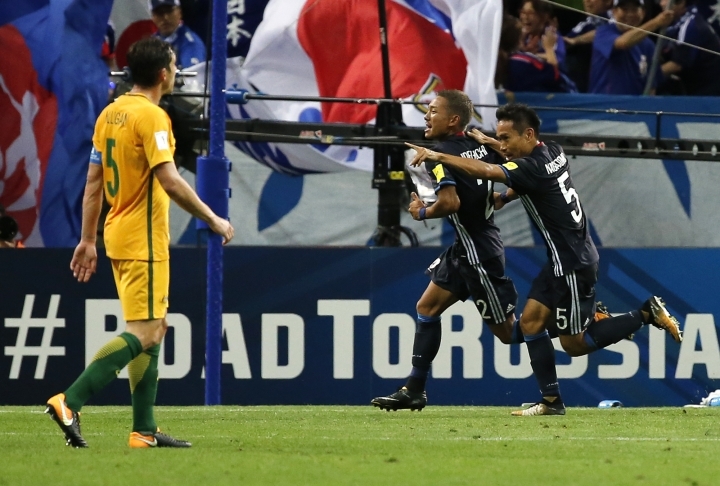 Instead, Ideguchi scored another for Japan in the 83rd when he sent an angled shot past the outstretched arms of Ryan for his first goal with national team. 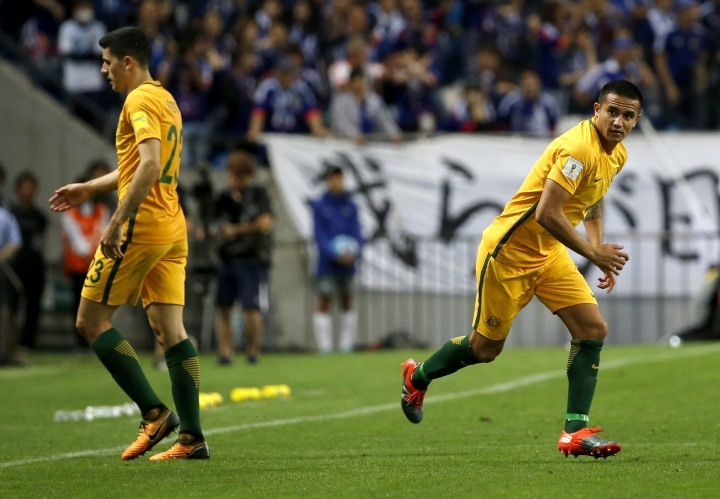 With 20 points, Japan is four points ahead of Australia and Saudi Arabia. 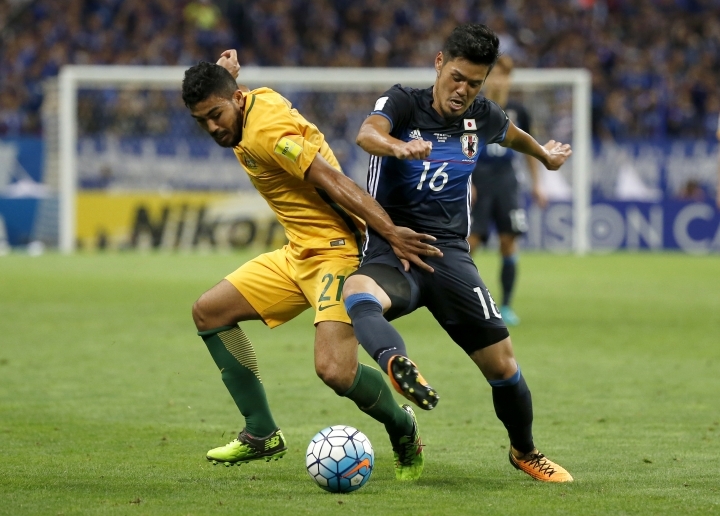 Japan travels to Saudi Arabia for its final group game on Tuesday. 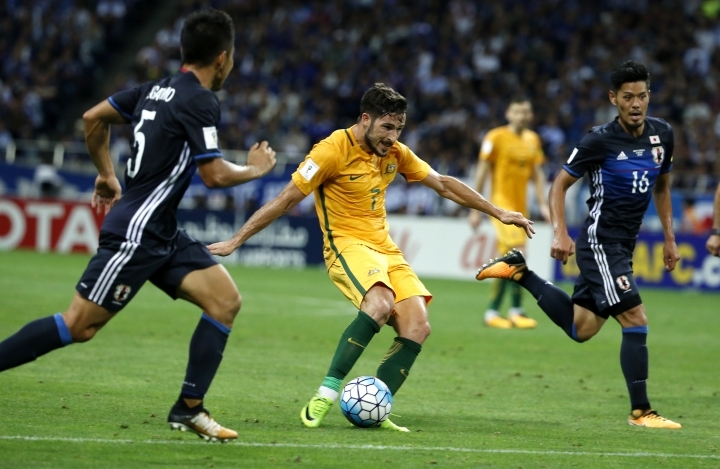 Australia faces last-place Thailand on the same day. 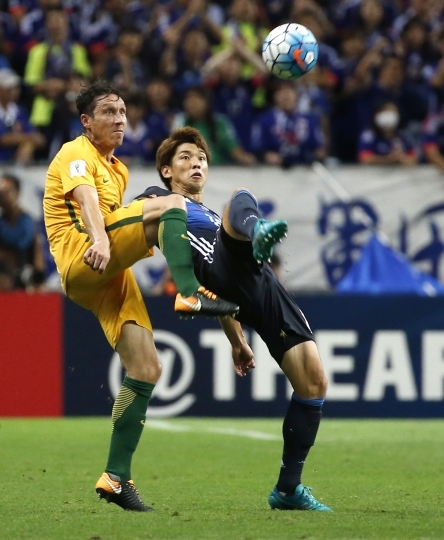 "We have another massive match coming up," Australia forward Robbie Kruse said. "We have to make sure we come back with a good response next Tuesday." 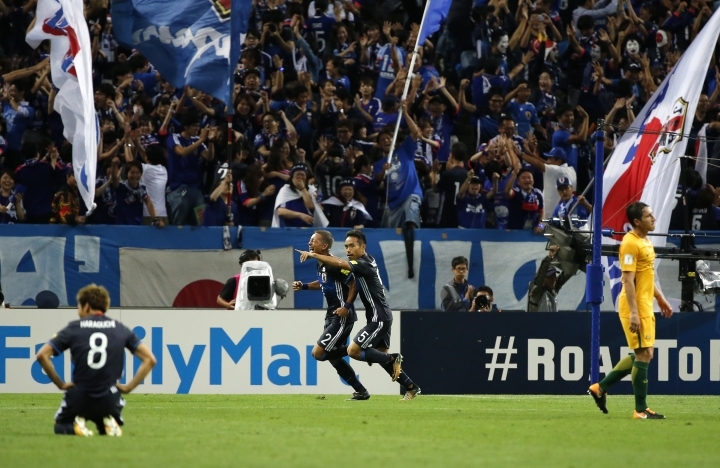 Saad Abdulameer converted from the penalty spot in the 85th minute to give Iraq a 2-1 win over Thailand in Group B.
Justin Meram had put Iraq ahead in Bangkok, but Thailand equalized when Ahmed Ibrahim scored an own-goal. 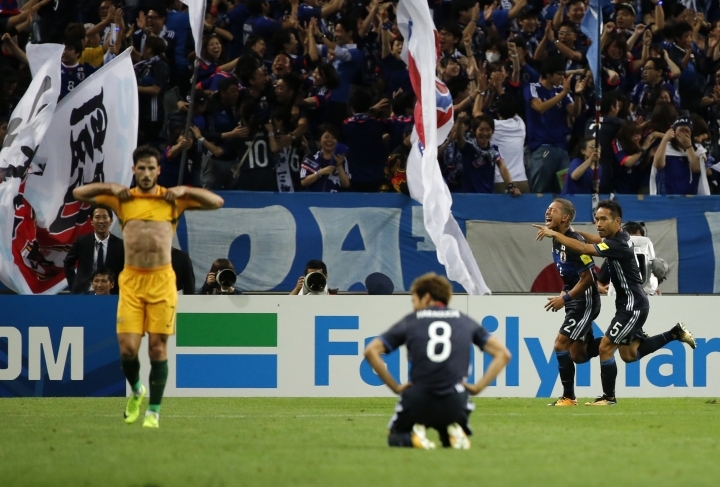 Thailand lost for the seventh time in nine games and is winless in the qualifying group. South Korea missed the chance to qualify for a ninth straight World Cup after being held to a 0-0 draw by Iran. Iran, which has already qualified for the tournament in Russia, has now gone nine games in the group without conceding a goal. Iran finished the match with 10 men after midfielder Saeid Ezatolahi was sent off for stamping on Kim Min-jae in the 51st minute. South Korea is second in Group A, two points above Syria and Uzbekistan. Gao Lin scored a late penalty to give China a 1-0 win over Uzbekistan.